We’re 86% and more than 4,500 backers in! Thank you all so much—that’s wonderful news. it also means that we finally feel comfortable announcing stretch goals. If you’re not interested in our babbling on how we believe they are supposed to work, please just scroll down to the stretch goals themselves. But for those of you who are interested, here’s a bit of the thought process that went into our planning. Don’t fix what ain’t broken. That’s the rule of thumb that applies to many things—including video games. When you have a solid vision of what you want to make, adding something on top doesn’t necessarily result in a better product—in some cases it can even water your vision down. And if during the development we realize that Pathologic needs more than we’ve promised—say, additional mechanics—we’ll include them anyway. We love this game too, you know. Stretch goals during crowdfunding are like a mini-game in and of themselves, so it’s very easy to get carried away and overpromise when setting them. We’ve heard sad stories of developers that have achieved more than they were comfortable with. So we did our best to plan stretch goals that wouldn’t make us overextend. As is stated in “Risks and Challenges”, we do have investments that would allow us to make Pathologic in any case, and this whole Kickstarter is like a huge stretch goal for us. The pitch says the money we ask for is what we need to make a perfect game, and that’s true. We don’t want to add superfluous entities on top. 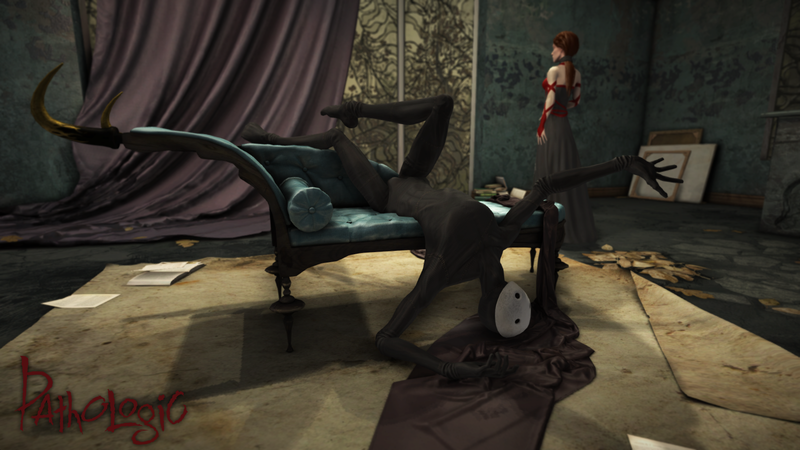 Still, we have more ideas that we believe will fit Pathologic. They’re mostly non-essential, but Pathologic is a game about different points of view—and these ideas would allow us to bring even more angles to look at the events of the game from. These are things we really want to make, but they would require a bigger team (or postponing the release, which is something we’d like to avoid). If we get more funding, they will become possible by the planned release date, though. The Town Extended ($300,000). This stretch goal seems pretty self-explanatory, and yet it’s the toughest one to explain. We’ve launched this whole campaign to make an extended version of the game after all, didn’t we? Thing is, it’s always possible to add more. More unique objects, more dialogue options, more questlines, more events happening around you. And it won’t be filler content either. Say, there are plot-dependent areas planned in the warehouse district; but what if you could also find caches and hideouts there? What if street NPCs had additional reactions to your activities? What if there were simply more questlines? You would become even more hard-pressed for time, sure, but we’ll balance it. The Town is a finished place, but we can always improve it intensively, adding more small locations, hidden corners, nooks and crannies. Also: more quests, more NPCs—more content in general. The Steppe Extended ($350,000). The Steppe is rather poor in terms of content right now, and that makes sense, since the plot of Pathologic takes place mostly in a single location, the characters being unable to leave The Town. While we don’t intend to change that, we can sneak in some loopholes, inviting the characters to explore new and fresh locations in the steppe (close to The Town, of course). It can even lead to them having new activities there. That also obviously means more quests, more steppe NPCs, more weird creatures, and generally more steppiness. Lucid Dreaming ($400,000). Thoughts and ideas are an important part of Pathologic, and it’s known that the Plague “speaks to its victims, scrutinizing them”. We would like that to become an even more prevalent motif, adding dreams in form of interactive experiences. Got infected? Go see the Plague in person. Found out new crucial information that completely changes everything? Same here. All those hints and omens dropped and mentioned everywhere will now appear in the flesh. Also more weird and creepy imagery. And these are not random events—they will depend on how you play and how the plot you create unfolds. Termitary and Abattoir ($450,000). The original Pathologic only showed you a chart of these behemoth constructions rather than their real innards. The poor interiors did nothing to reflect their grandeur. We’ll change that in the remake anyway, sure, but reaching this stretch goal would allow us to make a full-fledged ethnographic expedition into The Termitary and The Abattoir. You’ll be able to see the daily life, the traditions, and the culture of a very peculiar working community of steppe butchers that live inside and retain multiple traits of a primitive society. It’s “a town inside The Town”, and it’ll contain loads of new content, quests, and experiences. A Small Prequel ($550,000). Pathologic is plot-heavy, and a lot of important stuff happens right before the start of the game. As a player, you’ll uncover the partial truth behind the events that have shaped the current state of The Town, but you’ll never be able to see the perfect and complete picture. You’ll never be able to see them at all—only speculate. Simply showing these events would be a spoiler, but we’re keen on making an additional day-long story with unique content. It won’t be Kickstarter-exclusive. Please keep in mind that it won’t feature the same playable characters. The whole point of the prequel is to show you the things that the main trio would never be able to see and learn. But you will. And by the way… We want to give a shout out to another cool project that is looking for funding on Kickstarter right now! Moon Hunters is a “rogue-like” action-RPG with a twist: it explores lore and personalities rather than stats, focussing on bit-by-bit storytelling—just like Pathologic does. The atmosphere is very different, though: in this game you will engage in short light-hearted adventures with your friends (1–4 players), and each of those adventures will become a part of your village's mythology… So who knows? Maybe your first “learning the ropes” run will be remembered as a beginning of an epic legacy many in-game hours after! Here's the Russian version of the update, by the way. Sorry for not adding links to the Russian texts earlier, our mistake. А вот русская версия апдейта. Простите, что не ставили ссылки на русские тексты в прошлых, — недосмотрели. Irene Kuzemko, the_player, and 73 more people like this update. I think, when it comes down to it... We need to get all of it. Great stretch goals, ice-pickers! The Lucid Dreams are the most amazing in my opinion - this reactivity, game-gamer feedback is where The Game as a media really shines, it's artistic language, and there should be more of it. Really looking forward for this one! This game already looks amazingly interesting. I haven't played the original game yet, but I can't wait to see what you come up with. It would also be great if the Lucid Dreams were different according to which character was dreaming. But then, I'm sure you guys have already thought of that! Lucid Dreaming as a mechanics to make being infected both punishing AND rewarding experience? That's what I call brilliant game design. Also somewhat reminds me a Castoffs' Labirinth from Torment: Tides of Numenera in a really good way. Of course, I'm super excited about each and every other goal. Can only dream and slightly hope that we get to a prequel. An excellent update. I hope we at least get more on the Abattoir. The place looks intriguing. You are seriously the best. Кстати, ребята, как вам идея сделать апдейты в последние 12 дней кампании связанными с 12 днями Мора? Интересная метаролёвка получилась бы. awesome goals, best I've seen in a project so far. You are trully the only gaming company that is a cohesive unit, that works for a common goal, I am in awe. Fantastic stretch goals that sound like they will enhance the experience without watering anything down or getting out of control. Thanks for the being careful about that and all the thought that is obviously going into this project at all steps of the process. 14% was already old news when you published the stretch goals. It's 13 now - and I wouldn't wonder if we got under 10 over the weekend. Good goals! I want to see the prequel, but my wife didn't like the idea of selling the house. These are some really interesting stretch goals! The idea of the lucid dreaming alone would make a fascinating project. Got to love the Tradgedian as well! With all the bleakness and ferocity of the setting and its atmosphere they're just sprawled out and the film quote "I'm ready for my close-up" comes to mind. Here's hoping that the stretch goals can be reached as well. Health and happiness to you Ice-Pick Lodge! Congratulations on making it this far!! Now I'm even more excited seeing your ideas for the stretch goals too. The lucid dreaming sounds really cool! Also I would totally luv to see a small prequel. That's a really great idea! Everyone stay positive and keep up the good work! I will be looking forward to the next update!! Thanks IPL. I have to say that you guys made very interesting stretch goals. Ееей! Давно пора было сделать дополнительные цели!